Let’s make better email together. Our partnership program aims to connect the best tools, services and expertise available to educate and improve the field of email marketing. Whether through a co-hosted webinar, case study, or a strategic collaborative project, we want to work with you. Reports, case studies, webinars and more. Have an idea? Let’s talk. We are always looking for ways to work with the industry’s movers and shakers to share best practices and innovations. Collaboration can come in many forms: white papers, guest blog posts, webinars, infographics and more. 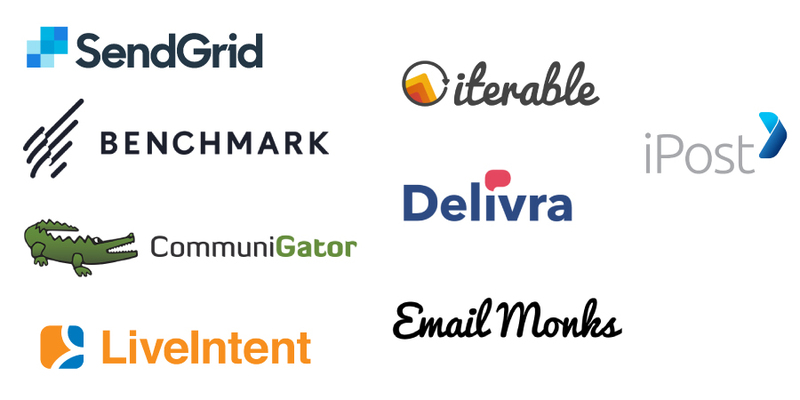 partners in the email industry. Learn more about partnering with Email on Acid.